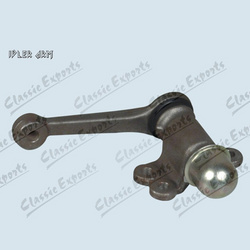 You are at the right one stop shop for idler arms. They are a pivoting support for the steering linkage. Please contact us for Moog, TRW, Dana Spicer and AC Delco's idler arms, steering idler arm, truck idler arm, blazer idler arm, control arm bushings, front idler arm. Made of high quality materials, our idler arms and idler arm bushings are ideal to be used in Ford, Lincoln, Mercury, Chrysler, Dodge, Mitsubishi, Mitsubishi Truck, Plymouth etc.